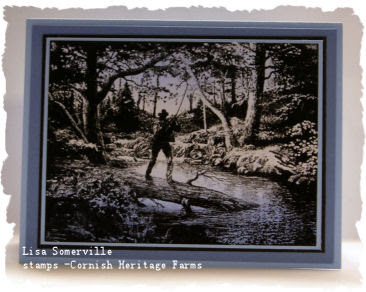 I just love this image from Cornish Heritage Farms - of course it helps that it reminds me so much of the men in my house - as they all love to Fly Fish. Lisa, this is utterly beautiful. I love it so much that I'm going to have to try it with my CHF Thomas Kinkade stamps. TFS! Beautiful card Lisa! Oh and that new pic of you is BEAUTIFUL too!